Sony has just released a new minor firmware update for the PS4, improving the system’s stability. The update is 297 MB in size, but only offers stability improvements. 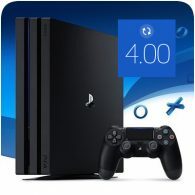 The PS4’s major v4.0o update was released last month, which made a number of changes to the system – this update presumably fixes some bugs in that update.